NSW Touch Football is very excited that the Sydney Roosters will be joining NRL Touch Premiership in 2019 along with foundation NSW NRL Clubs, the Parramatta Eels, West Tigers and Newcastle Knights. The Roosters now become the 8th Team to join with the Gold Coast Titans, Brisbane Broncos, North Queensland Cowboys from the inaugural series as well as the recently announced New Zealand Warriors. The NRL Touch Premiership is a competition that places our elite athletes on the big stage in front of world wide audiences. 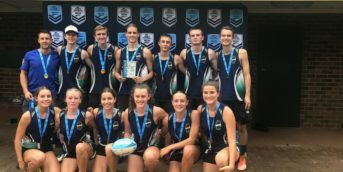 Now with a larger competition and more games more often, the Touch Football Pathway is visual around the nation and beyond via Fox League. 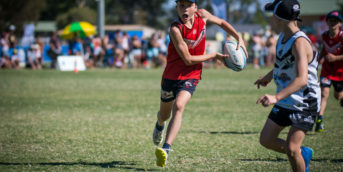 Touch Football Australia is excited to announce that the Sydney Roosters will join the NRL Touch Premiership in 2019, fielding both a men’s team and a women’s team. Touch football is a huge participation sport in Australia, with 680,000 players competing across the country. More than 100,000 of those reside in Sydney. The Roosters already have extensive links to touch football, with a fully integrated partnership with Eastern Suburbs Touch (ESTA), which is the largest touch football competition in NSW, and an MoU with Touch Football South Australia (TFSA) to work collaboratively to help grow both touch football and rugby league in South Australia. Sydney Roosters CEO Scott Bennetts said having some of the best male and female touch players in the world representing the Roosters on game day will consolidate the club’s program from grassroots to the elite levels of the sport. “We are excited to be a part of the 2019 NRL Touch Premiership and for the opportunity to connect with new audiences at the venue on game day and through broadcast,” said Bennetts. NRL Touch Football CEO Steve Mitchell is delighted to be aligning with the 2018 NRL Premiership-winning Sydney Roosters and growing both touch and tackle versions of rugby league. It was also recently announced that the New Zealand Warriors will enter the 2019 NRL Touch Premiership, joining the Roosters and the six NRL clubs that competed in the inaugural NRL Touch Premiership this year: the Wests Tigers, the Parramatta Eels, the Newcastle Knights, the Gold Coast Titans, the Brisbane Broncos and the North Queensland Cowboys. The NRL Touch Premiership consists of elite touch football games – a 30-minute men’s game and 30-minute women’s game – played as curtain-raisers to NRL games and broadcast live. Branding, including uniforms, aligns with the branding of each namesake NRL club. As well as more clubs, the second year of the NRL Touch Premiership will consist of significantly more rounds than in the inaugural year. lShoosh for Kids: Sign Up Now!